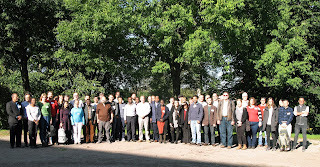 The 24th meeting of the Global Biodiversity Information Facility (GBIF) Governing Board and associated events were held its annual meeting in Helsinki, Finland, 24-29 September. The Biodiversity Heritage Library (BHL) was represented at both the 14th GBIF Nodes Meeting (24-25 September 2017, by BHL Program Director, Martin R. Kalfatovic) and the Governing Board Meeting (26-27 September 2017, by BHL Chair, Constance Rinaldo). Areas are being focused on include the Caribbean (formation of an Atlas of Living Caribbean), Pacific Islands (creating new participant options, including a meeting in Samoa). 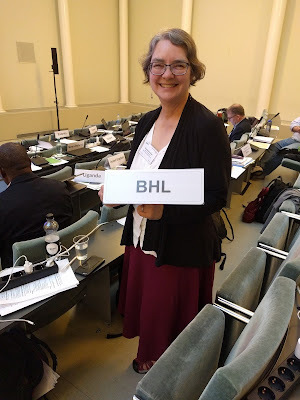 Hirsch also noted that GBIF is the key reporting structure for Aichi Target 19 f the Convention on Biological Diversity. 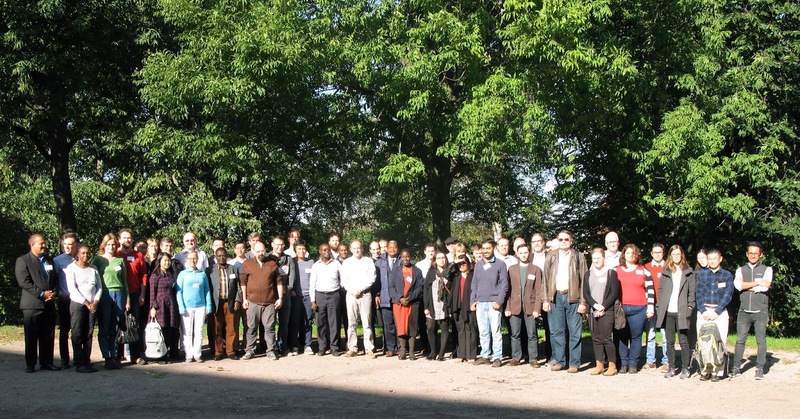 He also discussed GBIF's relation to Intergovernmental Science-Policy Platform on Biodiversity and Ecosystem Services (IPBES) and how GBIF can engage in filling gaps in knowledge through data mobilization priorities. A tour of the Finnish Museum of Natural History's herbarium scanning project was also provided at the lunch break. The day concluded with a reception at the Finnish Museum of Natural History. Delegates were also privileged to get a behind-the-scenes tour of the museum's collections areas. 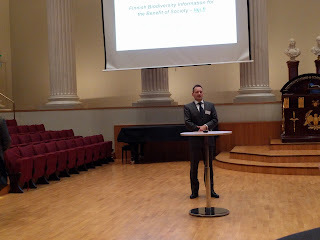 All delegates and other guests were invited to the Finish National Seminar, "Finnish Biodiversity Information for the Benefit of Society". 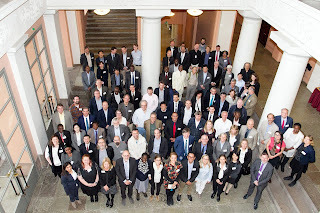 The national seminar is a full-day event with talks from invited international and Finnish guest speakers including researchers of various fields as well as representatives of the natural resources administration. 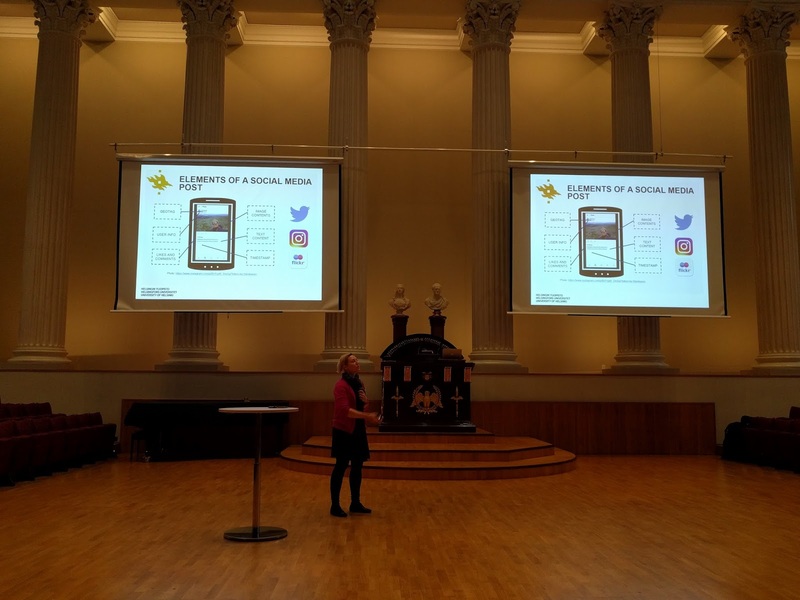 The programme gives broad insight into the various uses of openly available biodiversity data in research, governance, and teaching, and introduces the newly established Finnish Biodiversity Information Facility (FinBIF). Professor Leif Schulman, Director of the Finnish Museum of Natural History (and GBIF Head of Delegation for Finland) provided a brilliant opening to the Seminar (which was held in the beautiful Great Hall of the University of Helsinki) by pacing four meters across the stage and noting that it was this distance that birds in Finland are moving north due to climate change. Schulman also introduced Finnish Member of Parliment Ville Niinistö (Minister of the Environment in 2011-2014, led to the funding of FinBIF) who provided a governmental perspective on biodiversity. 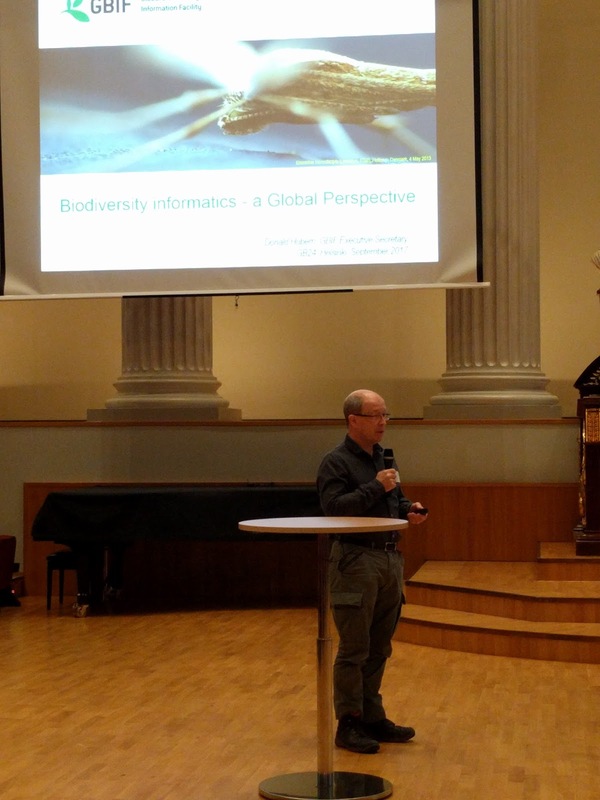 GBIF Executive Secretary Donald Hobern provided an overview of GBIF's activities and goals and was followed by FinBIF Manager Kari Lahti who contextualized this work within the Finnish context. 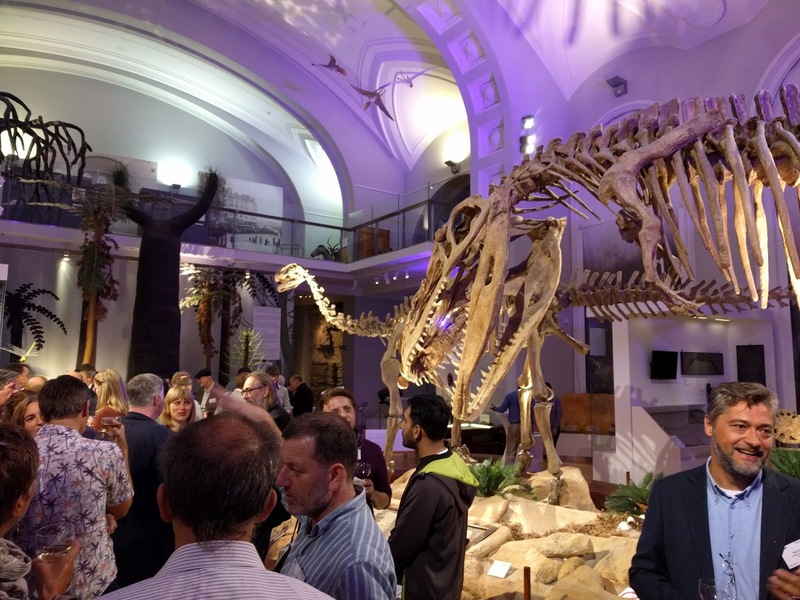 Dr. Vincent Smith (Head of Diversity & Informatics Division, Natural History Museum, London), provided a keynote talk, "The Digital Transformation of Biodiversity Institutions - a Changing Intellectual Business Model". 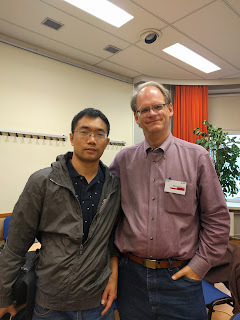 The meetings also provided BHL staff to meet with a number of our partners. Dr. Zheping Xu (BHL China) Patricia Koleff (BHL México). 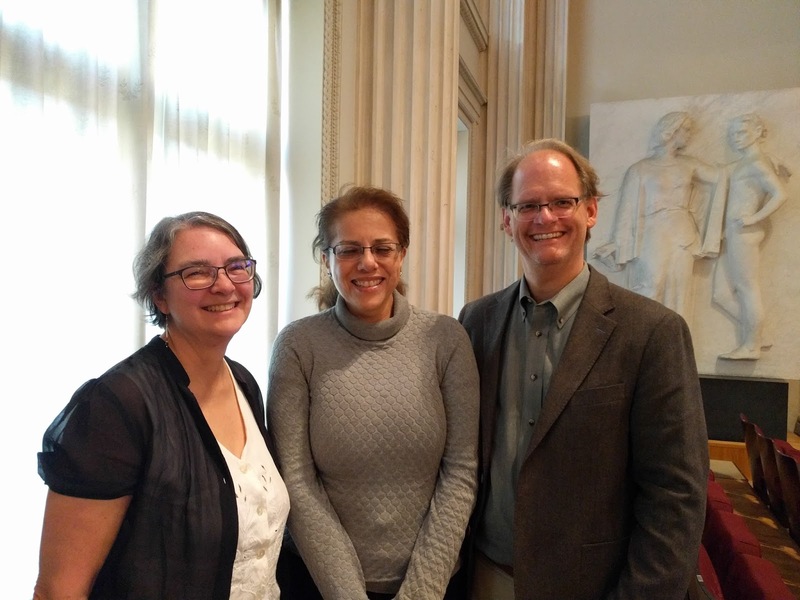 Discussions with Michelle Price (Conservatoire et Jardin botaniques de la Ville de Genève) and Chair of Consortium of European Taxonomic Facilities (CETAF AISBL) provided an opportunity to explore possible collaborations. Rinaldo and Kalfatovic were also able to spend time with outgoing GBIF Science Committee Chair and BHL power user Rod Page to discuss ongoing work with the BHL portal. The GBIF meetings also provided a good opportunity to catch up with staff from iDigBio, including Deb Paul (Digitization and Technology Specialist). Vallisaari is just 20 minutes by boat from the Market Square in Helsinki. 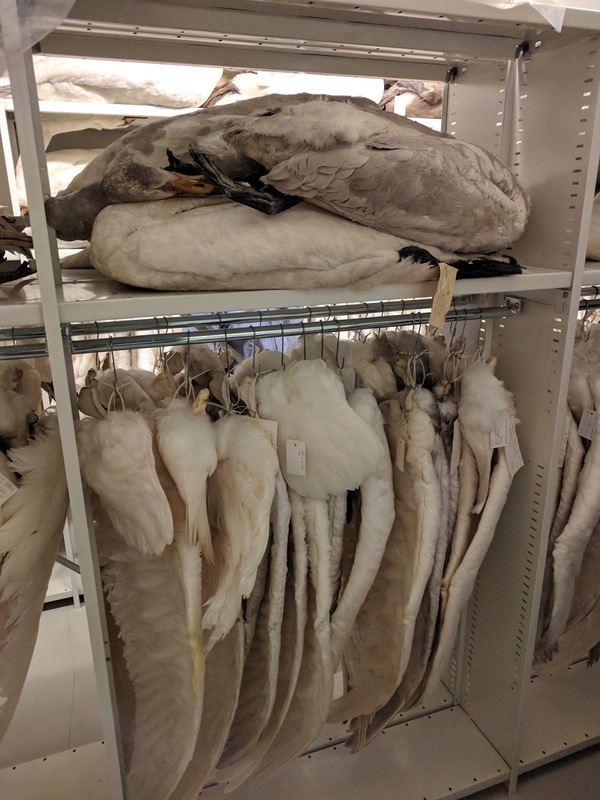 The island was opened for the public last year – before that it was decades abandoned and the nature took its place. Vallisaari is the most diverse nature destination in the metropolitan area. The island’s fortifications, buildings, and a record-breaking range of species tell a tale of coexistence between humans and wild nature. The other attraction, fortress of Suomenlinna is one of Finland’s UNESCO World Heritage Sites. Suomenlinna was built during the Swedish era as a maritime fortress and a base for the Archipelago Fleet. The Nuuksio National Park is located in the border of the oak forest zone and the southern boreal forest zone. The landscape is dominated by valleys and gorges formed by the Ice Age, and barren rocky hills covered by lichen and sparse pine forest. At some places the hills reach the height of 110 metres above the sea level.